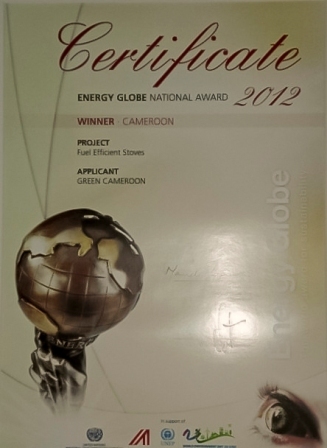 Green Cameroon depends largely on volunteers for the execution of its projects. We do not place any limitation to their sphere of intervention and encourage volunteers to share their vision. Through our volunteer program, we therefore recruit volunteers on a regular basis to fill in the gaps and permit us to effectively carry out our activities. Our volunteers must however be involved in any environment related field or be interested in environmental issues. 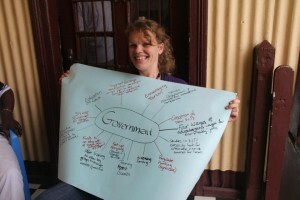 Volunteering in Cameroon is volunteering in one of the most beautiful countries in the world! Due to its geographical and climate circumstances, Cameroon is a country with an exceptionally rich biodiversity. Many regions contain rare or even endemic plant and animal species that are highly threatened by human activities. Poverty, unawareness and insuficient governmental management are currently causing further deterioration of the environmental situation in Cameroon. We are therefore constantly in need of extra hands to help us in our endeavour towards the conservation of Cameroon’s rich biodiversity. 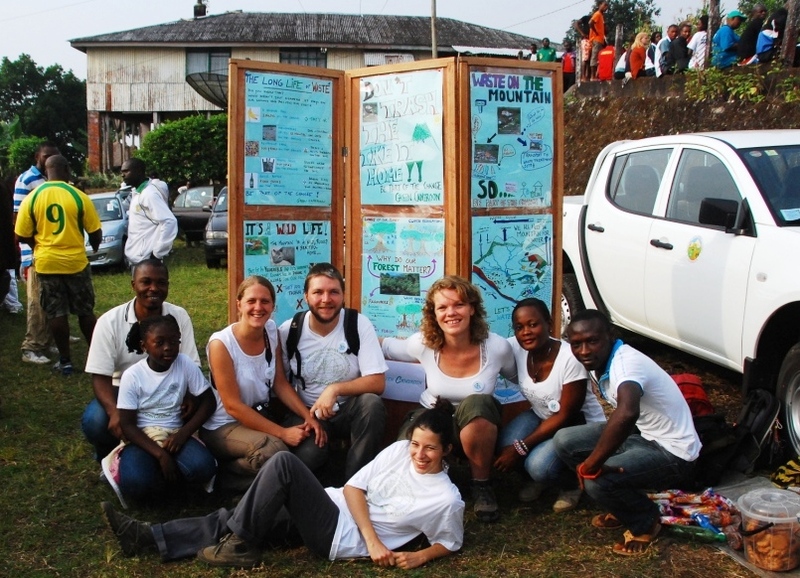 If you want to do volunteering in Cameroon, Green Cameroon welcomes your help with open arms. See our complete list of Volunteer Opportunities! Green Cameroon offers sufficient guidance in the volunteer’s work and where possible, the volunteer will be expected to attend trainings, workshops and meetings relevant for the running projects. The work will be diverse and it is our aim to give the volunteers a high level of responsibility, in such a way that they can follow up projects throughout the different work stages. All volunteers will be offered a Pidgin language training for two weeks. This will be useful for both international volunteers as for Cameroonians coming from the Francophone part of the country. It will improve the communication in the office as well as the volunteer’s integration in the local community. While staying in Cameroon, learning about the culture might be as important as carrying out the different task for Green Cameroon. To encourage this, the volunteer will be encouraged and invited to attend the many different cultural events, and (s)he will be offered to join work trips in the other parts of the country as much as possible. A typical work week is Monday – Friday, working every day from 8 a.m. until 5 p.m with 1 hour break. At the weekend, the volunteer has both days free to do what they want. He/She is allowed to take one week off every 3 months, which is to be decided with the rest of the team. A typical day starts around 8 a.m, at the office with the rest of the team. After that, depending on your own work schedule and the schedule of your colleagues, you might work from the office, go on the field or have some external meetings, this is up to you and the defined tasks. According to the volunteer’s knowledge and own interest and with appropriate supervision, the volunteer joins in the ongoing environmental or education projects of Green Cameroon. Besides that, the volunteer can take part in daily tasks in and around the office. The volunteers will be responsible for taking all necessary precautions concerning the insurance, health measures and ways of travelling. Buea is in the center of a malaria infected region. Good prevention medication and a musquito net are recommended. Two different types of volunteers are distinguished: short-term volunteers and long-term volunteers. Both types affect volunteers from 18 and 65 years old. Short-term volunteers contribute for a minimum of 3 months and a maximum of 6 months. Unless there is a convincing reason to extend the length, they assist only in ongoing projects. 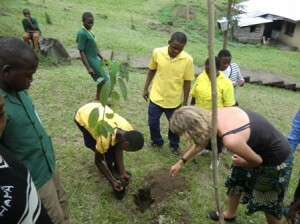 A maximum of 6 short-term volunteers will work with Green Cameroon at the same time. The short-term Action aims to support students in search for an internship placement and allow young job-seekers to gain work experience. It is however still open to professionals who are willing to be of help to our communities. Long-term volunteers contribute for a minimum of 7 months and a maximum of 12 months renewable once. They can be either national or international and they assist in ongoing projects and/or can set up their own projects in cooperation with Green Cameroon. A maximum of 5 long-term volunteer will work with Green Cameroon at the same time, (s) he might possibly have finished the short-term Action first. The long-term Action aims to give (inter)national youngsters the chance to gain experience before finding their way into the job market or before making their decision about future studies. It is also suitable for the gap year activity and for professionals who want to help our community through service and for all those who want to give back someting to the world in gratitude for its bounty.